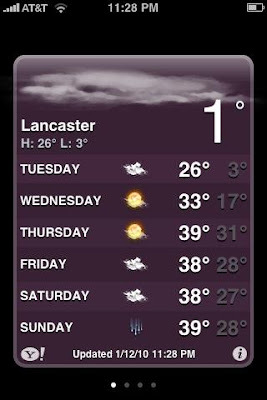 The folks at nbc4 just said it's -2 in Lancaster. Weather.com is saying it's 4 here. We'll just (almost) split the difference. *C suggested an inappropriate title for this post. Just use your imagination.